Students first go through team building exercises to help build communication/cooperation skills and help with thinking creatively. Then they are introduced to everything that makes it possible for a play to take place, from pre-production where costumes & sets designs are created, to actual show time, where they control all the lights, sound, and action! During the first semester they will compete in the Region One Act Play Competition, and second semester they compete in the AASU One Act Play Festival. They work in unison with the drama students. Middle and Upper School students are introduced to acting through various exercises that require using different types of emotions, actions, and creativity with on-the-spot improvisation. Students deliver monologues, and audition for and perform in a variety of productions during the school year. Upper School students participate in the Region One Act Play Competition during first semester and the Armstrong State University One Act Play Festival during second semester. Savannah Christian Preparatory School annually produces classic Broadway musical productions with cast members comprised of 3rd through 12th grade students. One of our primary goals is to provide students with opportunities to develop and showcase their talent. We also want students to experience the full range of a professional quality theater production, including auditions, casting, staging, props and costuming; acting, singing and dancing; lighting and sound; live audience presentation; and promotion and celebration. We give families of cast members opportunities to enjoy a professional quality public forum for their students’ talents. We focus on providing various audiences with quality, family-friendly entertainment. 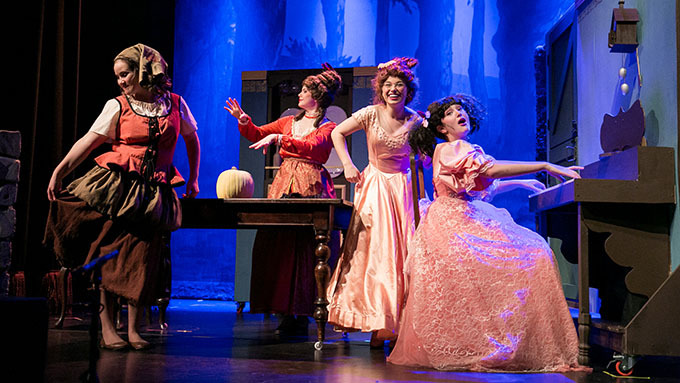 Productions are held annually in March at Trustees Theater or Lucas Theatre in downtown Savannah. Auditions are held in the fall and practices are held on the Savannah Christian Prep campus. This year’s production will be Newsies and will be held on March 8th, 9th, and 10th at The Lucas Theatre on Abercorn Street. For Audition information, please click here.